Nobody knew his name before the Ashes – now England batsman James Vince is confident nobody will forget it. In his first Test match overseas and just his eighth overall, Vince hit an encouraging 83 on Day One in a strong start to his Ashes career. There are few tougher assignments for a novice batsman than facing Australia on day one at the Gabba – but the 26-year-old looked cool, calm and collected in his 238 minutes at the crease. Coming in at 1-2 after the early loss of Alastair Cook, first drop Vince steadied the ship for England with a 125-run partnership alongside opener Mark Stoneman to frustrate the much-vaunted Australian pace attack. He was eventually run out by a spectacular piece of fielding from Nathan Lyon. Vince admitted he had an “extra incentive” to perform after Matthew Hayden’s assessment of the English squad before the series, with the former Australian opener saying he had no idea who half their players were. “If he didn’t know who we were at the start of the day, he probably does now,” Vince told reporters. “I didn’t take too much notice of it, to be honest. “Not just that – there’s a bit of chat around and I’ve had stuff since I got called up after my last effort in Test cricket. Before Brisbane, Vince hadn’t surpassed the half-century mark in his seven Tests, with an average of just 19. His previous highest score was 42 off 49 balls against Pakistan at Lord’s, while he tallied one and a duck in his last Test in August 2016. He was also coming off a middling domestic campaign, averaging 33 this year for Hampshire in county cricket – making him one of the most puzzling picks in the English side. But Vince more than vindicated his selection, hitting 12 boundaries to announce an emphatic Ashes arrival. 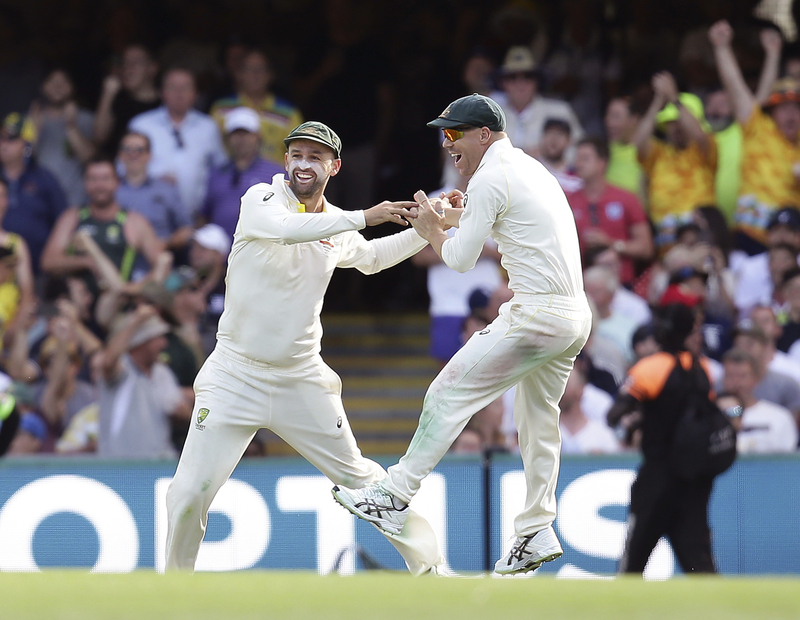 He was fortunate when dropped on 68 by wicketkeeper Tim Paine, who failed to glove a simple catch off Nathan Lyon’s bowling – his only suspect moment before his dismissal. Lyon eventually had his man with a stunning one-handed collect and throw from the covers, leaving Vince agonisingly short of his maiden Test century and England at 3-145. “In hindsight, I wouldn’t take the run,” Vince said.